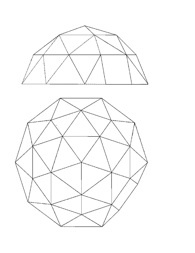 We design spherical and non-spherical geodesic domes, with full geometric analysis of struts, hubs and panels. 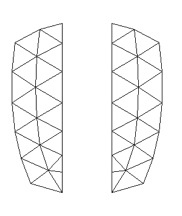 The models can be exported in dxf and dwg formats. 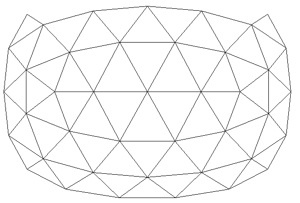 We are always interested in exploring novel shapes and patterns of geodesic structure for different uses. We manufacture dome components (struts, hub assemblies and panels) in various materials for different applications. For example aluminium and fabric for demountable structures as promotional shelters, marquees and stage canopies. stainless steel, wood and polythene film for polydome growing environments. Stainless steel, timber and plywood for cabins, studios, dwellings and community halls. We can set up production processes for the efficient manufacture of dome components. 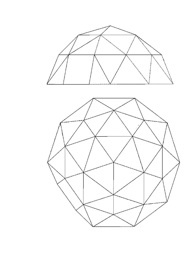 Domes designed, and plans drawn up to your specification and dimensions. Harnessing the power of geodesic architecture for a wide range of structural applications.